Cozy Vision Technologies Pvt. Ltd.
SMS Alert is a powerful and robust online SMS sending platform capable of sending thousands of SMS in a click. 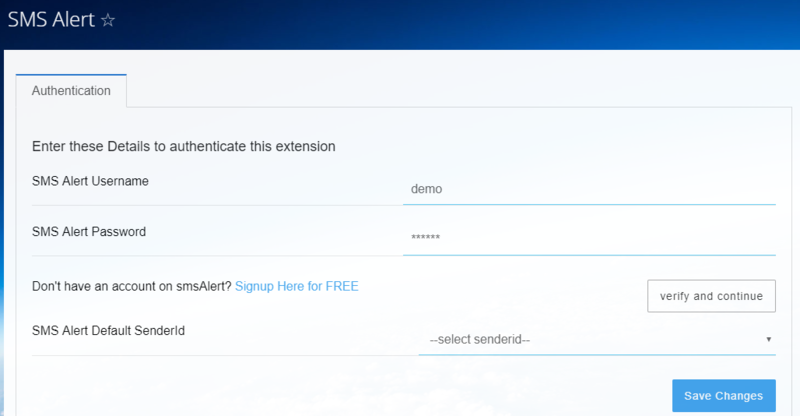 SMS Alert extension is an exclusive tool that equips your Bitrix CRM with SMS features using www.smsalert.co.in service. Any Bitrix-powered CRM can be enabled with this feature within a few clicks, along with custom SMS templates and friendly interface. The customer will also love it as they will be notified via SMS at every step, helping increase customer satisfaction and reducing after sales support and manual work in sending updates to customers. Whether you've just launched your business or been on the market for quite some time you can use this extension, and you will soon notice appreciation from your customers for it. Save Chages, you are all set to send SMS.